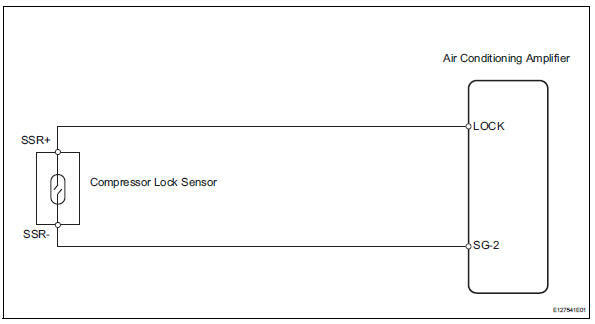 This sensor sends 1 pulse per engine revolution to the air conditioning amplifier. If the ratio of the compressor speed divided by the engine speed is smaller than a predetermined value, the air conditioning amplifier turns the compressor off, and the indicator blinks at approximately 1 second intervals. 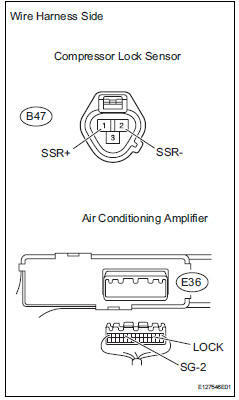 Remove the air conditioning amplifier with its connectors still connected. 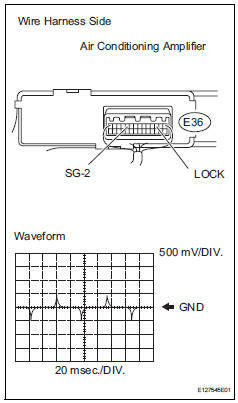 Check the waveform of the amplifier connector. Ok: waveform is as shown in the illustration. 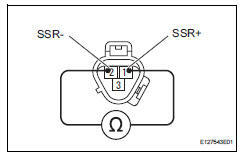 Disconnect the b47 compressor lock sensor connector. Measure the resistance of the sensor. Disconnect the e36 amplifier connector.